Bob, I know how to do this. I am believing God for my healing buzzing of ears and anxiety praise God that as I Got in to His word and read all this healing scriptures I felt the joy of the Lord and a touch of his healing upon me and he showed me the things that I have to change in my life besides getting closer to him and spending time more with him it was an awesome time can’t wait till the manifistaion of his healing at his timing thank you Jesus so if anyone is lead by the Lord to pray in agreement with me for my healing would apreciate it thank you in advance God bless. Can you please tell me how to convert the PDF files to text files? Thank you very much, and thank you for posting these important books. Bob – Some PDF viewers will allow you to “Save As” to text file or you can copy the document and paste it into a text or Word file. I do the copy and paste thing all the time but you have to do a lot of clean up and format editing. I am about to preach on faith and happen to tap on to your sight, I am trust god to see a member who have had some accident and is unable to walk for many years, also faced with a tremendous debt. Please help me pray and believe, that we will see the power of the Almighty God in operation. Hi team. I hope this message finds you very well. Actually i am facing a very critical complicated unsolveable and crucial issue since November 2016. It is ongoing till now. It seems it has no end at all. Please pray with all your heart so our Lord will solve this problem asap. It is in regards to a relationship. Once done, let me know please. Also, does God’s silence nean NO? Or his silence mean he is at work? Last question: will God take back what he gave? Does he say no after he said yes? Will he close a door that he opened from the beginning? Hello HopeFaithPrayer , this is Denzel , I am currently developing a website which provides a huge amount resources from a broad spectrum of ministers particularly in the area of articles for people of faith. And I wanted to know if I could feature some of the faith-building articles on this website ? I need your permission before I can use your articles. Your materials greatly helped me in walking in the blessings of the Lord and I desire for it to be made available to people who may not come in direct contact with your website ( for those who may only hear of your good works through us ). Sorry Rex for asking that question , legeally it is not right. You know I asked earlier about using your articles. I have to apologize for that , sorry for asking that question . Legally I believe now it is not the right question to ask , so let’s scratch off that question and thank you very much for reading. Thank you very much for your articles , it helped got me delivered from an incurable hip disease – now I can walk , run , jump and I had no surgery. I used God’s medicine ( His Word ) to fix it. He sent His Word and it healed us. 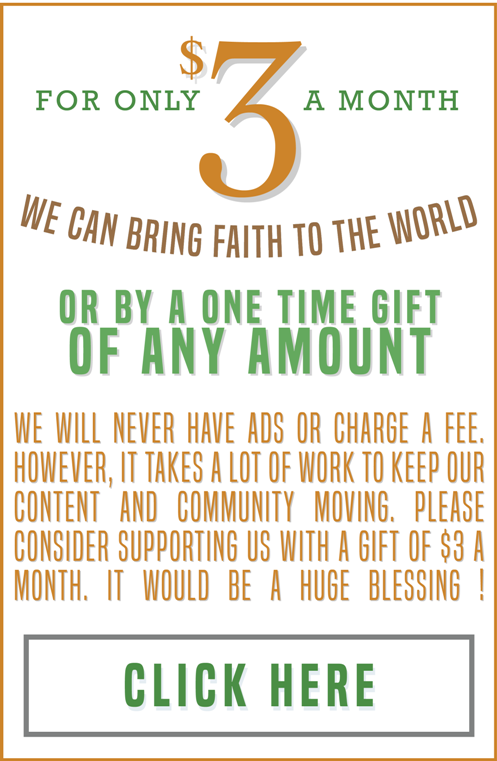 Thank You Hopefaithprayer for being an awesome website , a huge blessing to the body of Christ. Shalom, how does someone get on your authors list. I just want to see the sick healed.